The Valley News just posted their endorsement of the rabidly anti-rights candidate for governor, Sue Minter. Some quotes from the VT Digger article (because you are not allowed to voice your opinions on the VN site) are below. Expanding the law under Universal Background Check legislation will do NOTHING to stop criminals from getting firearms. Sue Minter and the anti-gun media KNOW THIS. 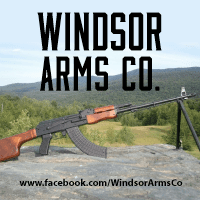 It is simply the latest method to force all law-abiding Vermonters to REGISTER their firearms with the federal government. 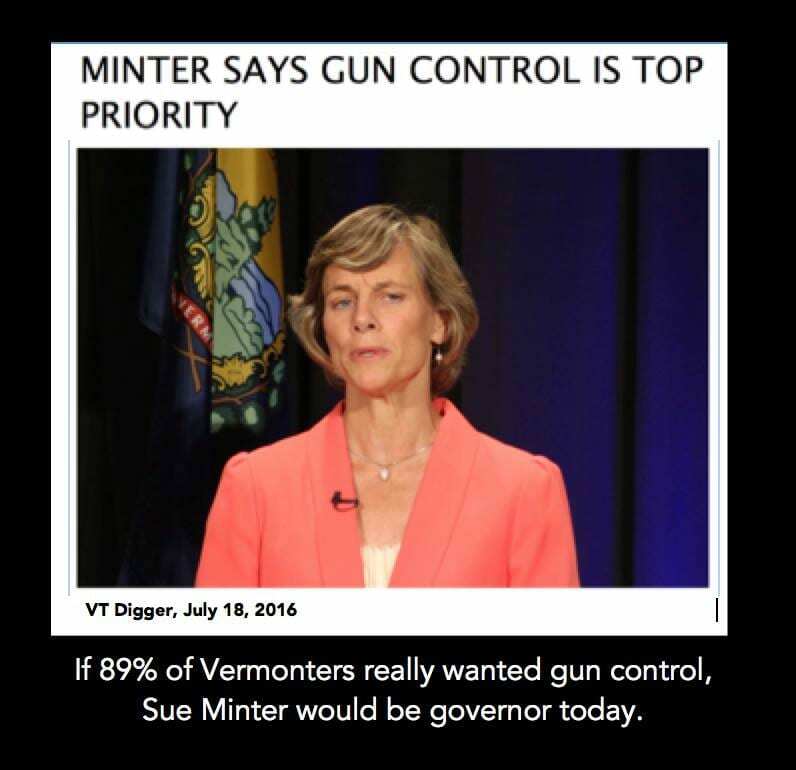 Sue Minter and the anti-gun lobby are again using scare tactics to single-out Vermonters that already own the most common firearm in Vermont, the semi-automatic firearm. This type of mechanical action has been in existence for over 100 years and is the MOST POPULAR firearm purchased today. “Assault Weapons” became the rallying cry of the elite to enact control over the general public in the 1990s and is still used today. It is a political term used to divide a large class of “legal” firearms into smaller classes of “illegal” firearms. 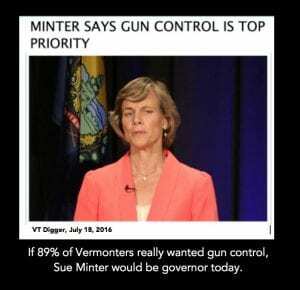 I am proud that I am part of those “gun supporters” in Vermont. These “gun supporters” are some of the finest people I have ever met; they teach their children responsibility, they steward the environment, they love their families and fight for their rights against the wealthy elite and the biased media. We all work without pay, unlike the anti-gun groups with their paid staff and politicians with anonymous donors. I have been debunking the anti-gun rhetoric for the last 3 years and I’m not done yet. Her stance is a LIE perpetrated by the Castleton Polling Institute and Vermont Public Radio. A candidate who stands up in public and tells the world that is ready as soon as elected to VIOLATE HER OATH OF OFFICE to protect the Constitutional Rights of Vermonters is to be applauded? This is truly disgusting and has reached epidemic proportions in our little state. The editors of the Valley News and other anti-gun newspapers should be reviled by trying to gin up ratings by putting Vermonters’ Rights at risk. Vermont is the SAFEST STATE in the nation with the lowest violent crime rate in the nation. PERIOD. It is a FACT that they deny. 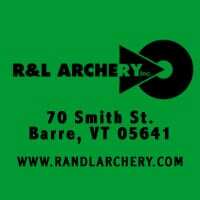 Vermonters should remember on November 8th, that only the team of Phil Scott, Randy Brock, and Deb Bucknam will PROTECT their Constitutional Rights in Vermont! If you don’t vote, don’t complain. 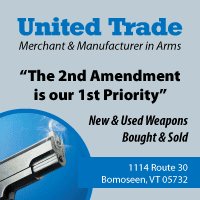 This entry was posted in News, Opinion and tagged anti-gun, Assault Weapons, AWB, Deb Bucknam, election, governor, Phil Scott, Randy Brock, registration, Sue Minter, UBC, Universal Background Checks, vote. Bookmark the permalink.